There’s lots of summer left so try a fruity twist on a traditional Gin Rickey. I used frozen cherries here but you can also use fresh peaches for a summer treat. How about tonight? Puree frozen cherries and lime juice in a blender. Add the sugar water, club soda, gin and bitters. Blend until smooth. Serves about 4 in rocks glasses over ice. 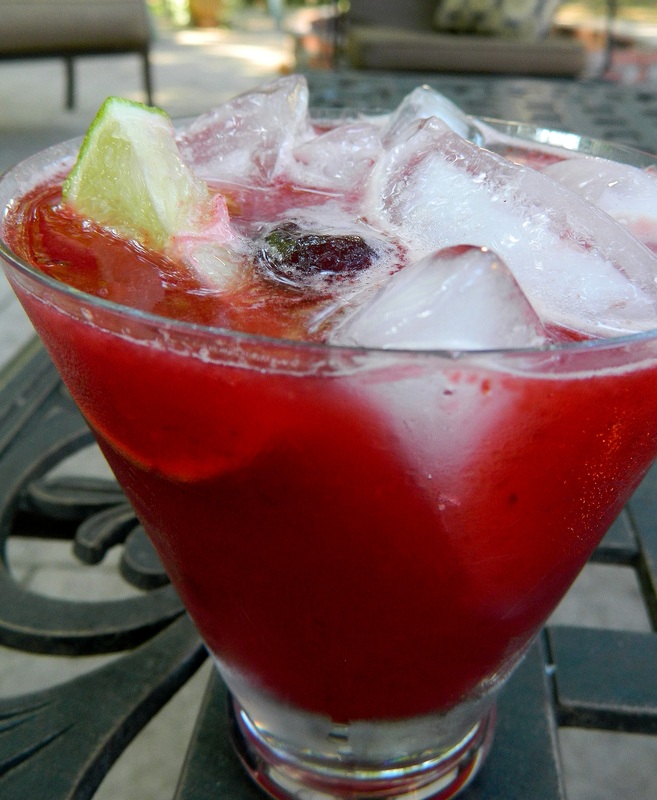 Garnish with a lime and a cherry. That Blanche, She’s a Peach! Every time I run across the term “blanche” in a recipe I think of Blanche DuBois, the southern femme fatale from the Tennessee William’s play, A Streetcar Named Desire.” I can’t help it, I guess English majors just think this way. 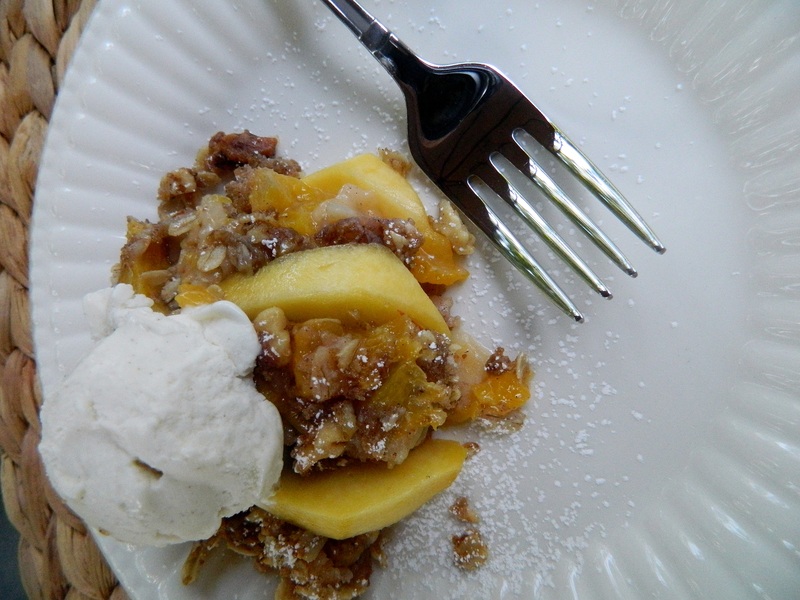 The biggest hassle about making peach pie or cobbler is removing that fuzzy skin. Blanching is the best way. Here’s how: score a small X at the base of each peach. Put the peaches into boiling water and simmer for about a minute or less. 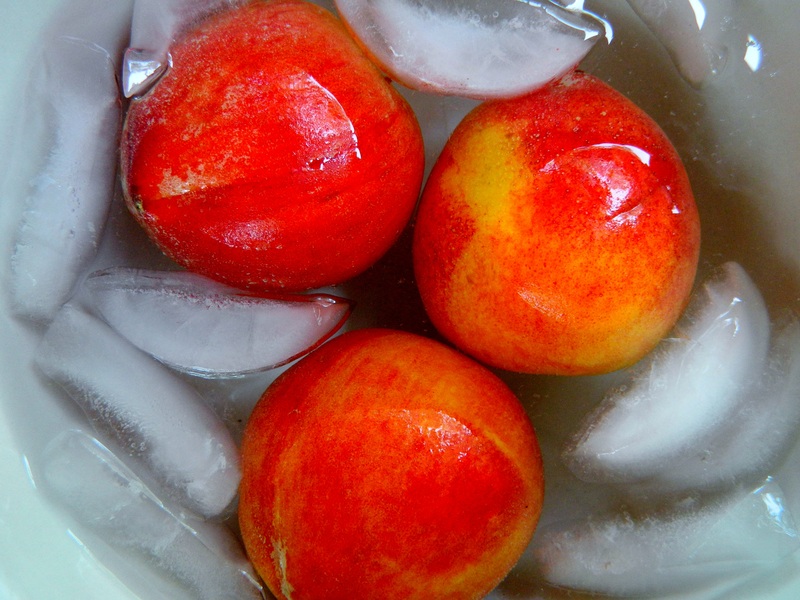 Remove the peaches and place immediately into a bowl of ice water and let stand for one minute. Remove and peel. Here’s a quick and easy dessert for fresh peaches. 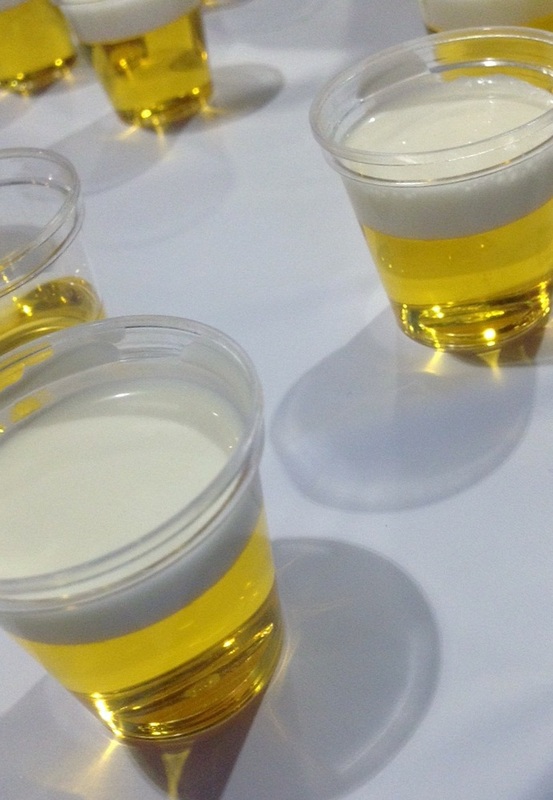 You can adjust the sugar content to your taste. If you have dietary concerns, use something like Stevia. Preheat oven to 375 degrees. Combine peaches, sugar and flour. Put in greased 1-1/2 to 2-quart casserole dish. For topping, mix oats, brown sugar, flour and cinnamon. Cut in the butter until you have coarse crumbs. Stir in nuts and/or coconut. Sprinkle topping over peaches in baking dish. Bake for 35 minutes or until peaches are tender and topping is browned. P.S. 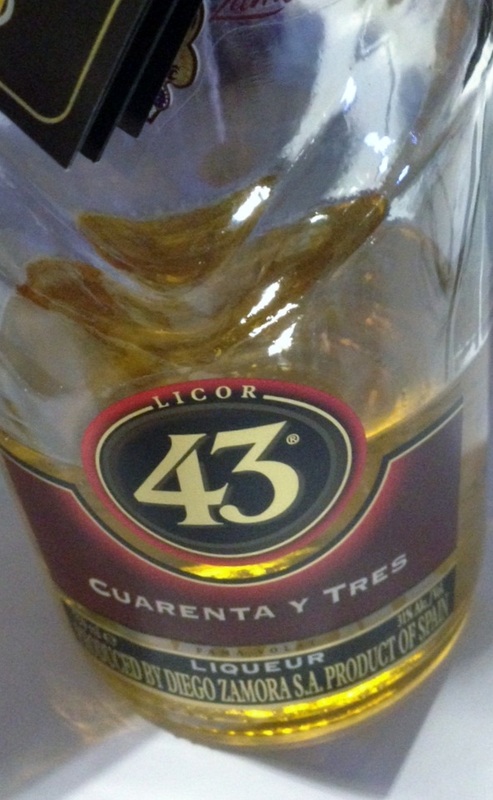 : If you ask me, Blanche DuBois could have used a little dip in the ice water. Jennifer was a few years older and worldlier than my tender age of 12, but there was some kind of powerful lure that had me walking to Jennifer’s house every day that summer. Jennifer, her mom and the other sister baked. It didn’t matter if it was 90 degrees outside with no central air conditioning, that oven went on in the morning and produced chewy gooey cookies and shortcakes. I was fascinated with the hundreds of oven-fresh cookies lined up on tea towels. I visited, I ate, and I collected recipes and duplicated them at home – all summer long. 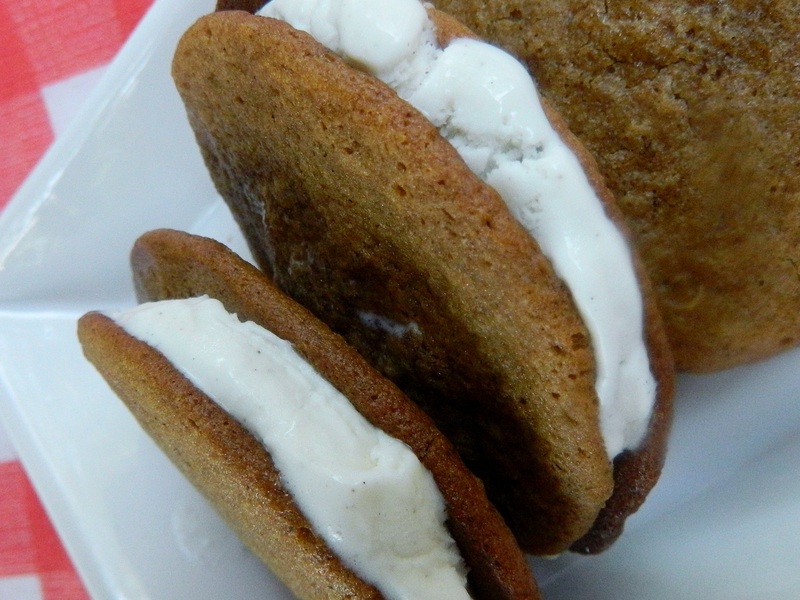 Whoopie pies, Ranger Joe cookies, chocolate chip, snickerdoodles, gingersnaps, and so forth and so on. This summer, I’ve been baking cookies just like I remembered. I line them up on tea towels, just like Jennifer’s mom did, and our son and his friends grab and go. I hope the summer cookie experience goes into their “great-memories-of summer-growing-up” memory bank. Even if they don’t, they’re enjoying the regular treats. For me, it’s all about the memories. These soft, chewy cookies are from the Silver Palate Cookbook. 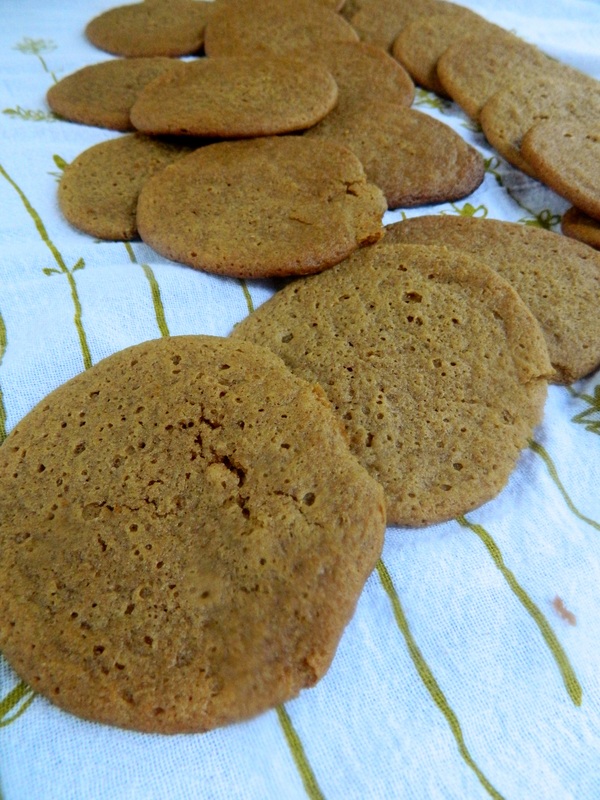 Don’t expect them to be crisp, they are not gingersnaps. I took them to another level by sandwiching them with vanilla ice cream. Melt butter, add sugar and molasses and mix thoroughly. Lightly beat the egg and add to butter mixture; blend well. Sift flour with spices, salt and baking soda, and add to the first mixture. Batter will be wet. Lay a sheet of foil on a cookie sheet. Drop tablespoons of cookie batter on foil, leaved three inches between the cookies. These will spread during baking. Bake until cookies start to darken, 8 to 10 minutes. Remove from oven and let cool completely on foil. Carefully peel off the foil.